After the first installments of Harry Potter and The Lord Of The Rings rocked the global box-office back in 2001, American movie studios started buying the rights of every fantasy book they could find in the hope of striking cinematic gold. Barely any executive was able to shout “cha-ching” however, as only a handful of these opportunist films have proved successful, namely Disney’s The Chronicles Of Narnia and New Line’s The Golden Compass (sure, it bombed in the US, but it was huge everywhere else). Indeed, in their rush to shell out movies about magical worlds, studios seem to have mostly forgotten what made Potter and Rings so successful: it’s not only an established fanbase and an otherworldly setting, but mainly faithfulness, and a creative team truly invested in the source material. Which brings us to Eragon, which is adapted from the first book in Chistopher Paolini’s Inheritance Cycle. The movie was directed by first-timer Stefen Fangmeier, a visual effects supervisor on films such as A Series Of Unfortunate Events, and adpated to screenplay form by Peter Buchman (Jurassic Park III). It stars newcomer Edward Speleers in the title role, as well as Jeremy Irons (Kingdom Of Heaven), Sienna Guillory (Resident Evil: Apocalypse), Robert Carlyle (28 Weeks Later), John Malkovich (Beowulf), Garett Hedlund (Death Sentence), Djimon Hounsou (Never Back Down), Rachel Weisz’s voice (Definitely, Maybe) and pop singer Joss Stone in her first (albeit brief) film role. Eragon‘s story goes pretty much like this: Once upon a time, peace was kept by an order of knights with special abilities. One of these knights turned to evil however, and betrayed his comrades, killing them all (or did he?) and establishing himself as ruler of everywhere. Years later, a young blond male living at his uncle’s farm stumbles upon something stolen from the evil lord. After his family is killed, he is recruited by a wise old ex-knight and sets on a journey to join a small band of dedicated rebels, to whom the stolen item could prove extremely useful. Along the way, they will venture into one of the enemy’s fortresses to rescue the young princess who stole the thing in the first place. Sound familiar? Review and trailer after the jump. Yes, Eragon can be pretty much be described as Star Wars in a Lord Of The Rings setting… Jedi Knights become Dragon Riders, Luke becomes Eragon, Obi-Wan becomes Brom, Princess Leia becomes Princess Arya, the Death Star plans become Saphira the dragon, the Rebel Alliance becomes the Varden, etc… At one point, Eragon even looks up at the sky, longingly observing the sunset. Elements of The Lord Of The Rings and, apparently, The Dragonriders Of Pern are also thrown in for good measure. However, all this was in the book, which was very well-received, so why would the film be any different? Many elements contribute to Eragon being an extremely disappointing film. This could have been a huge franchise for Twentieth Century-Fox, so it’s baffling that they chose to put it in the hands of Fangmeier, who may be a very talented effects guy, but has virtually no directing experience (all he did was direct Galaxy Quest‘s second unit). However, while Fangmeier’s inexperience is surely an issue, I don’t think it’s the main one. Nor is the acting, which ranges from decent to quite solid. No, one of Eragon‘s biggest problems, in my opinion, is its length. Indeed, most of the recent successful fantasy movies have been more than two hours long (with the notable exception of The Golden Compass). 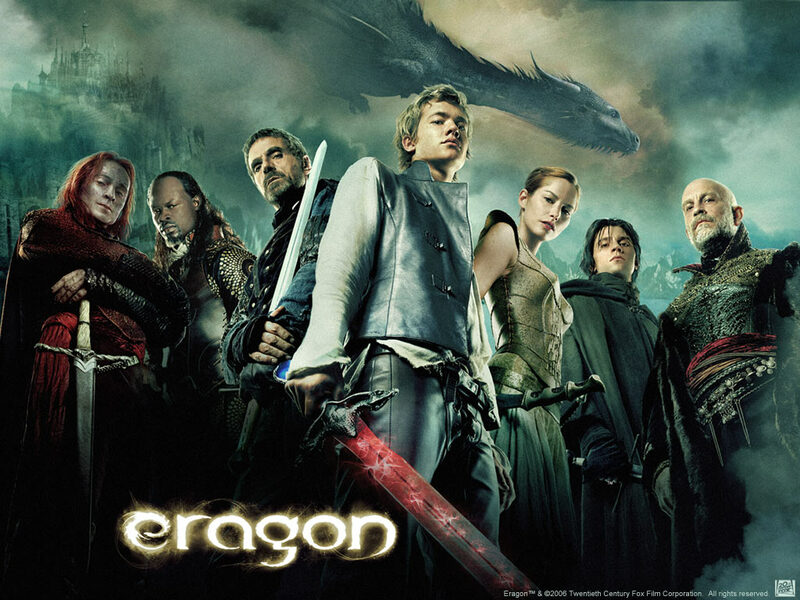 Barely more than 90 minutes long, Eragon feels like it should be much, much longer. Take the first two Harry Potter and Narnia books, which are a bit more than 200 pages long, while their respective movies each clocked in at about two hours and thirty minutes. By comparision, Eragon is around 500 pages long, and I swear to you this hampers the film. Events seem to happen one after the other, with little room for development and explanation, such as Eragon apparently mastering the elven language in under ten minutes. You can plainly see where scenes were taken out, and this is one film which could truly gain from an extended/director’s cut. Also, there’s the fact that most of the film’s props look ridiculously fake. So should you dismiss Eragon as the turd everyone makes it out to be? Not really. Despite its many flaws and bad choices such has the long stark black nails every villain sports and its awkward handling of the clichéd storyline, the film is much better than, say Uwe Boll’s BloodRayne or Jeremy Irons’ previous fantasy effort, Dungeons & Dragons. The special effects aren’t groundbreaking, but they’re good enough. The cinematography is quite decent, though not to the level of The Lord Of The Rings. And sure, the storyline is conventional, but it’s a convention that has proven it’s worth time and time again. Also the score by Patrick Doyle (Harry Potter And The Goblet Of Fire) is excellent and features a memorable, heroic theme. 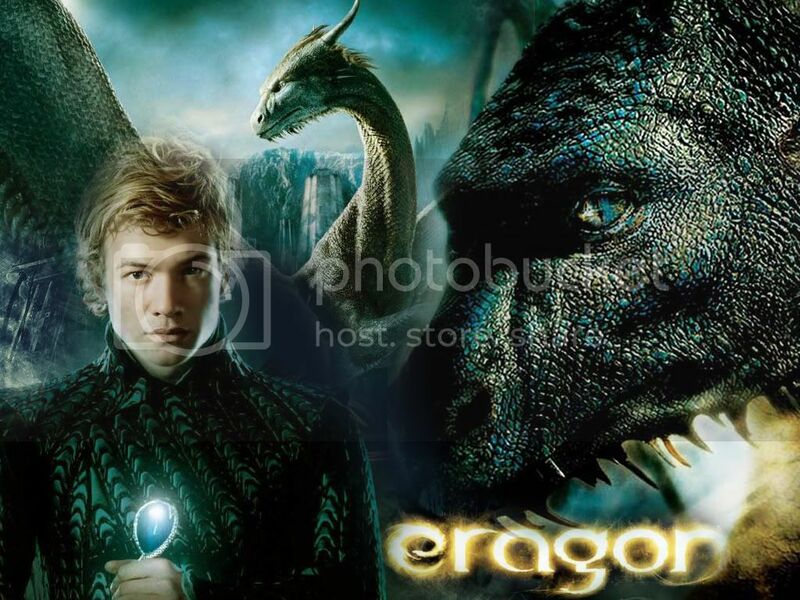 To conclude, if The Lord Of The Rings is the Dark Knight of fantasy movies, then Eragon would be Fantastic Four. Eragon was critically bashed upon its release, and was a box-office flop in the US, though it performed quite well overseas. The possibility of a sequel is however extremely unlikely and Fox seems to have missed its fantasy franchise opportunity, ironically in a play to make more money (epic fail). As for Stefen Fangmeier, he’s gone back to visual effects work, most recently in this summer’s Wanted. Verdict: don’t expect much out of it, but a decent alternative if you’re tired of rewatching Star Wars and The Lord Of The Rings. Eragon currently hold a 5/10 on IMDB and a 15% on Rotten Tomatoes. This entry was posted in American Films, Fantasy Movies, Movie Of The Day, Movie Trailers, Videos and tagged 20th Century-Fox, 28 Weeks Later, A Series Of Unfortunate Events, Arya, Beowulf, BloodRayne, Brom, Chistopher Paolini, Death Sentence, Death Star, Death Star plans, Definitely Maybe, Djimon Hounsou, dragon, Dragon Riders, Dungeons & Dragons, Edward Speleers, Eragon, Fantastic Four, FOX, Galaxy Quest, Garett Hedlund, Harry Potter, Harry Potter And The Goblet Of Fire, Inheritance Cycle, Jedi, Jedi Knights, Jeremy Irons, John Malkovich, Joss Stone, Jurassic Park 3, Jurassic Park III, Kingdom Of Heaven, Luke Skywalker, Narnia, Never Back Down, Obi-Wan, Obi-Wan Kenobi, Patrick Doyle, Peter Buchman, Princess Leia, Rachel Weisz, Rebel Alliance, Resident Evil: Apocalypse, Robert Carlyle, Saphira, Sienna Guillory, Star Wars, Stefen Fangmeier, The Chronicles Of Narnia, The Dark Knight, The Dragonriders Of Pern, The Golden Compass, The Lord Of The Rings, Twentieth Century-Fox, Uwe Boll, Varden, Wanted by Mr Hollywood. Bookmark the permalink.